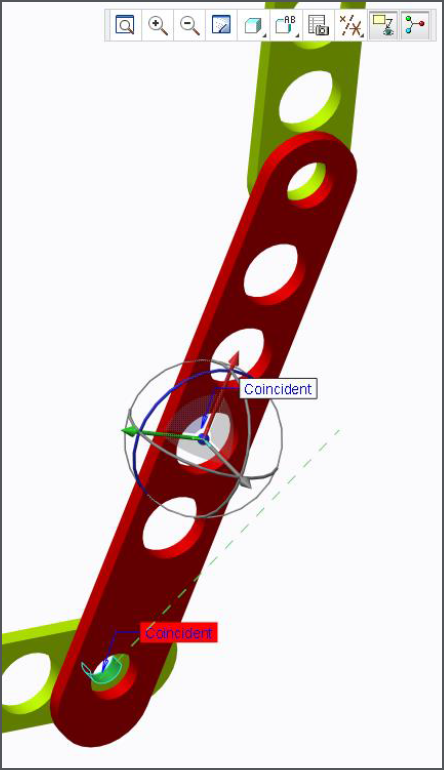 Today’s “Fast Facts!” explores Assembly Mode in PTC Creo. This post explains how to enhance the visible status of incomplete assembly constraints and how to change the Assembly Feature (Cut) Considerations to reduce memory usage, as well a few tips to help with large assembly management. This content is intended to provide users with easy-to-use, actionable tips and tricks for how to use PTC Creo more effectively. These tips come from Steve Meyers and Evan Winter, two PTC Creo experts in our training group. 1. Open the System Colors dialogue box by opening the File menu, selecting Options, and then selecting System Colors. 2. Open the Graphics dropdown menu. 3. Change the color selection for Secondary Previewed Geometry. 1. Open the Intersect tab. Below are a few tips to help you manage your large assembly’s representations. 1. On-Demand Simplified Representation – Allows for quick retrieval of required representations when they are needed for assembly operations. 2. Open Subset – Allows the retrieval of an ad-hoc simplification without creating a new Simplified Representation that is saved in the assembly. This can be thought of as a temporary Simplified Representation. 3. Auto_backup_new_placemnt_refs – Automatically backs up assembly references to the assembly context, allowing component placement to be updated/modified when using Graphics Representations and lightweight Graphics Representations. 4. 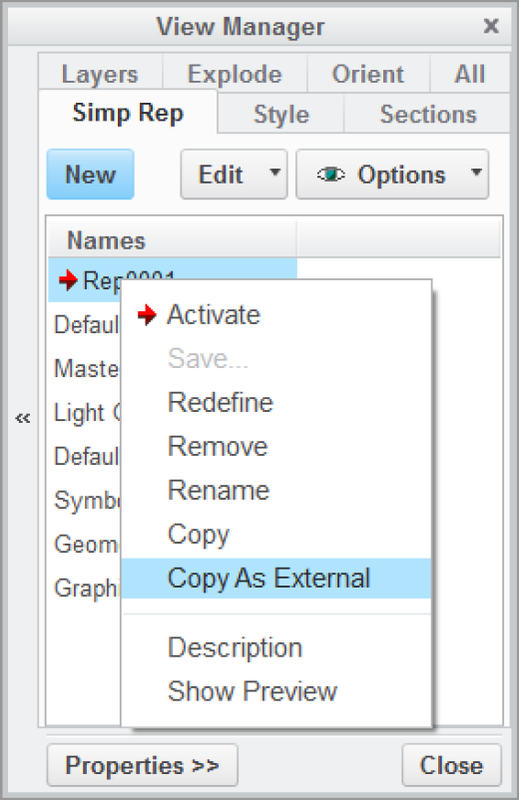 Copy as External – Creates a separate assembly with only the models included in that representations. 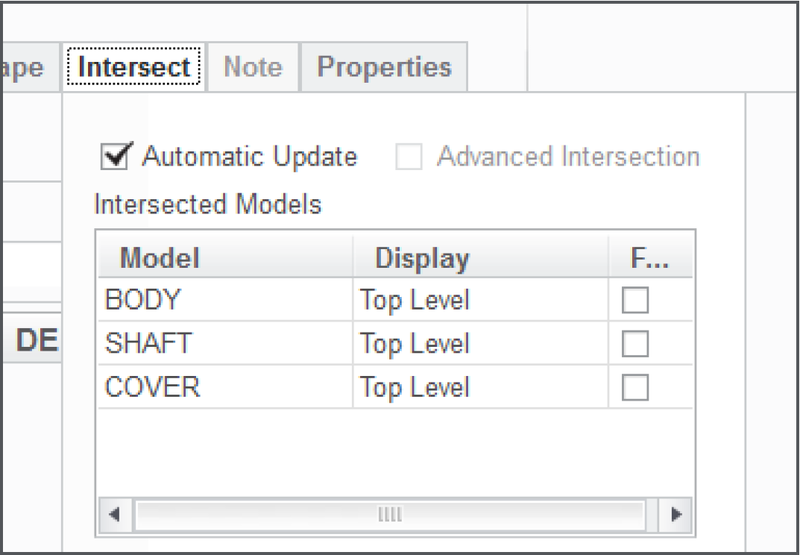 Allows you to share subsets of a top assembly to other users, and their changes filter back to the upper level. Note: Must use “dependent” option for upward filtering. Stayed tuned as we cover more PTC Creo commands, features, and shortcuts designed to help you use the product faster! For more in-depth product feature explanations, visit our Tech Tips area. Have some ideas about what you’d like to learn more about? Send me a message or leave a comment below and we’ll write up the best ideas from the community. Thanks for reading, looking forward to all of your feedback!